School Track and Field concluded today with the 2018 Primary School Bermuda School Sports Federation Track and Field Championships. Kalila Daley from Harrington Sound Primary and Mount Saint Agnes Academy's Daylen Scott won the Toby Colombe Award for Outstanding Athlete of the Meet, both athletes won maximum points in the individual events. Daley won the 200 and 400 meter events and Long Jump, while Scott claimed top honors in the Under 10 Boys 100 and 200 meters and Long Jump. Daley was named the Under 9 Champion ahead of Markayla Swan of West End Primary who finished second in the 400 and 800 meters and third in the 200m. Kruz Iris was named Champion Boy in the Under 9 Division. The Purvis Primary student topped the podium in the 100 and 200 meters while finishing third in the Cricket Ball Throw. Warwick Academy's Cameron Adkins finished second with second place finishes in the 800m and High Jump. Arima Turner from Bermuda High School was named Under 10 Girls Champion. She claimed first in the 100 and 200 and finished second in the 400 meters. Legend Stevenson of West End Primary finished first in the 400m and finished second in the 800m and Long Jump. Somersfield Academy's Ellise Dickinson also had a good meet winning the 800m and earning Silver in the 100 and 200 meters. Scott Easilt won the Under 10 Boys Division with Feidhlim Carr from Saltus Grammar School finishing second after winning the 400 and 800 meters and finishing second to Scott in the 200m. 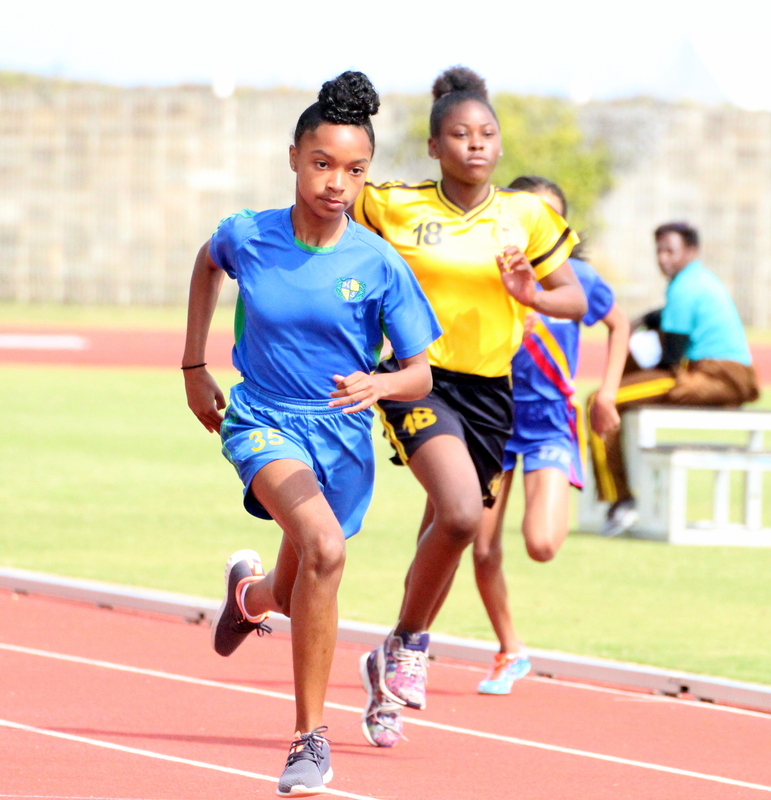 Two West Pembroke students dominated the Over 10 Girls Division, Kemauri Darrell won the Division after winning the 400 and 800 meters and fourth in the 200 meters, Schoolmate Ny'Asia White won the 200 meters while finishing second in the 100 and third in the 400 meters. Isael Smith ran and leapt his way to the Champion Boy in the Over 10 Division. The Prospect Primary student won the 100 and 200 meters and finished second in the High Jump. Elliot Primary's Khari Sharieff was runner up with wins in the 800 meters and the High Jump but placed fourth in the Long Jump.